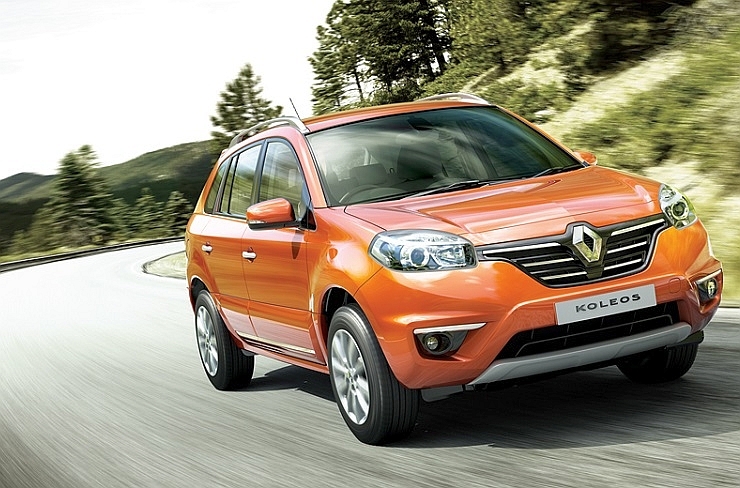 Renault will unveil the second generation version of its luxury crossover, the Koleos, in 2016. The 2016 Koleos will hop onto the common module family (CMF) architecture, which is Renault-Nissan’s answer to the likes of Volkswagen’s MQB platform and Toyota’s TNGA. The 2016 Koleos will be based on the 2014 Nissan X-Trial, which also happens to be underpinned by the CMF architecture. First launched in 2008, the Koleos is already 6 years old and will be about 8 years old before the new model arrives, and that is quite a long product cycle for a car, especially in this day and age. While a major stylistic revamp is a given, the 2016 Koleos is expected to offer more space to its occupants with a longer wheelbase while other exterior dimensions of the crossover is expected to increase, in line with the CMF platform’s overall larger footprint, as seen on the 2014 Nissan X-Trail. The crossover could also get lighter, considering the fact that the X-Trail is a full 90 kiloograms lighter than the outgoing model. Turbo petrol and turbo diesel engines will be offered on the 2016 Koleos, with the motors likely to be shared with the 2014 X-Trail, which will get a new 1.6 liter-4 cylinder turbo petrol engine next year. Nissan’s new Active 4X4 i four wheel drive system that debuted on the 2014 X-Trail is expected to be adapted to the 2016 Koleos, which is likely to continue being offered in two wheel drive and four wheel drive guises. 6 speed manual and CVT automatic transmissions are likely to handle torque transmission functions. Nissan has been talking about parking assist becoming standard on its range of cars by 2016. The 2016 Koleos therefore, seems poised to get park assist as standard fare. Notably, Nissan already offers moving object detection with its park assist kit on the 2014 X-Trail. The 2016 Koleos is also likely to get a big fillip in terms of safety equipment as the automotive industry, including Renault-Nissan, has made significant strides in both active and passive safety technology. The 2016 Koleos is expected to be sold in India as well, which got the facelifted model of the crossover earlier this year.